“I’m so happy to be in a space with feminine energy. I don’t want to put a gender on it,” said New Orleans resident Auja Finley at a round table during the monthly New Orleans Women’s Dinner. At the Women’s’ Dinner on Wednesday, January 6th, the Artist Journey Allen space on Broad Street was packed with femmes. All the seats at the rows of tables were full, and attendees crowded around the edges of the room, holding paper plates bending beneath the weight of pasta and curry. 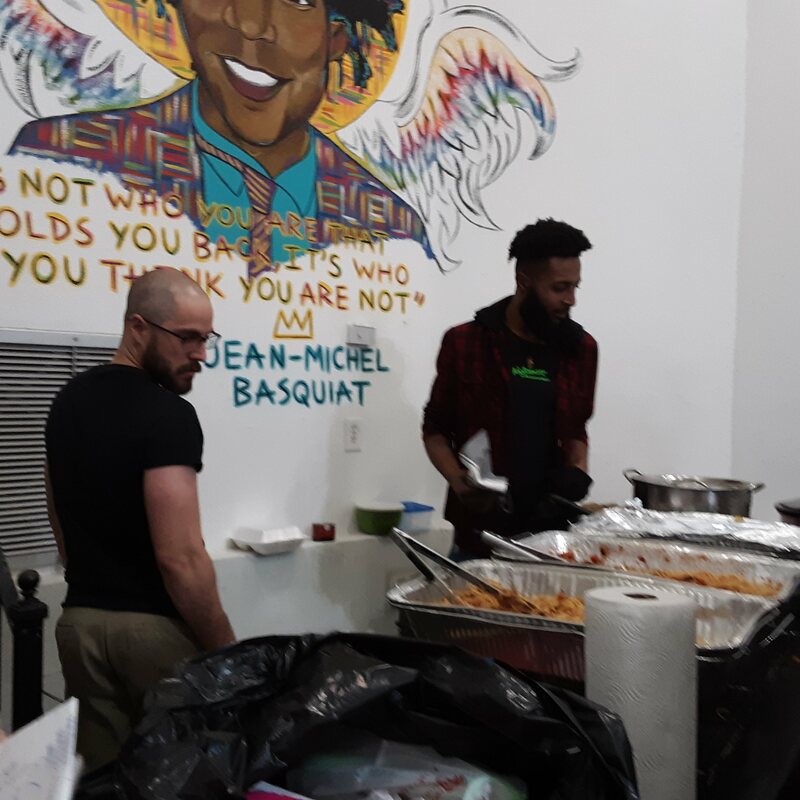 The Women’s Dinner, run by the Women’s Committee of People’s Assembly of New Orleans and the New Orleans Hospitality Workers’ Alliance (NOHWA), generally happens every first Wednesday of the month in the Treme Recreation center. (The date was changed for New Years, the locale for basketball season.) After almost one year, the dinner series is going strong. According to NOWHA Activist Ashlee Pintos, the events began as part of an attempt to bring meaning and working-class organizing to a sphere of activism that has long been whitewashed and stripped of its revolutionary roots. The dinners aim to build power by bringing women together and hosting powerful speakers—one theme was abolishing incarceration, where Fox Rich was a speaker, while another was radical education. 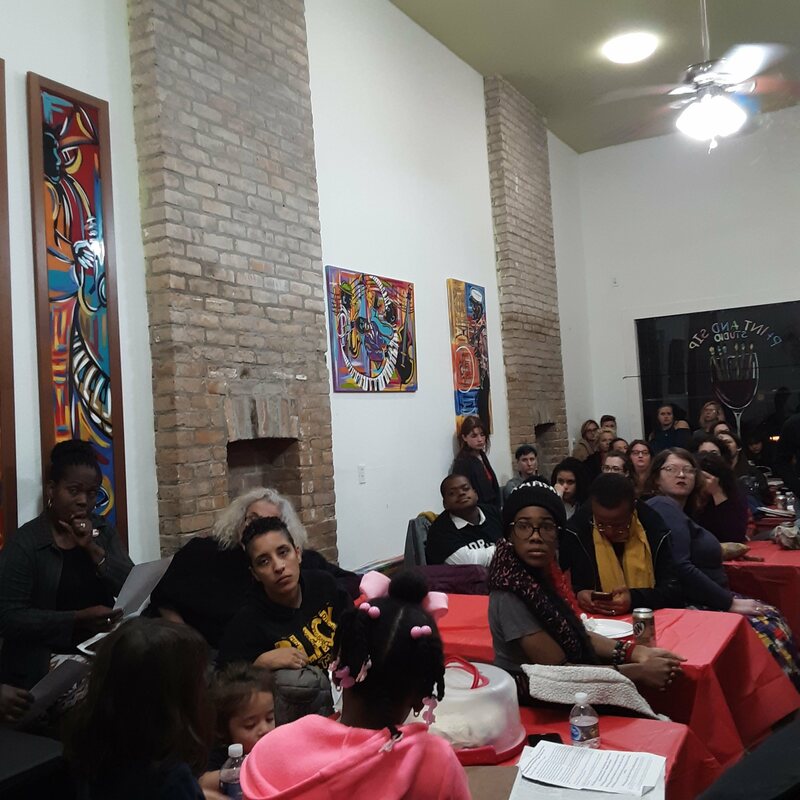 The dinner sometimes also is followed by community sings. Currently, the focus of the dinners is a March 16th rally and march for International Working Women’s Day—a march organized by NOWHA that aims to build power and support for New Orleans’ hospitality workers, the majority of whom are female and underpaid. The International Working Women’s Day march seeks to draw attention to the fact that New Orleans brings enormous profits from the work of its servers, housekeepers, bartenders, and entertainers—though they rarely see a fair share of these profits. According to studies done by the Data Center, pay is also far lower for workers of color in the industry than white workers. The Women’s dinner series is entirely free and open to all self-identifying femmes. Men and gender-non-conforming allies organize the cooking, as well as transportation and childcare for those who need, in an intentional subversion of gender roles. 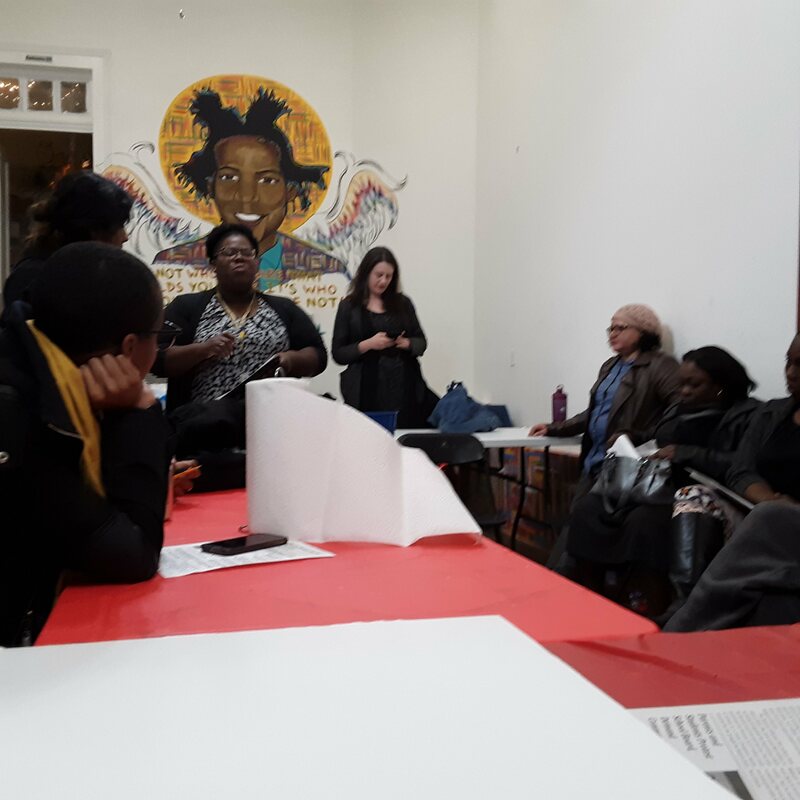 “There’s a power women have when we are allowed to really focus on things…Often women and femmes in organizing are asked to do the food and the childcare… that distracts from our ability to be focused and present.” says Pintos. “We went to the men and the gender non-conforming allies, and we said ‘so you’re going to do the food and the childcare, right?’ and they said ‘yeah!’. Taking care of children and cooking, those things have a lot of value, they bring out the humanity in people, and often men don’t have access to doing that, due to concepts of masculinity… and that can be empowering too. A central tenet of the dinners is to build solidarity between women in New Orleans and to talk about the injustices facing working women in the city. “People don’t realize that they have a right to work free from sexual and racial harassment,” says Pintos. “There’s so much untapped energy here that we could be bringing to the table,” said Finley. 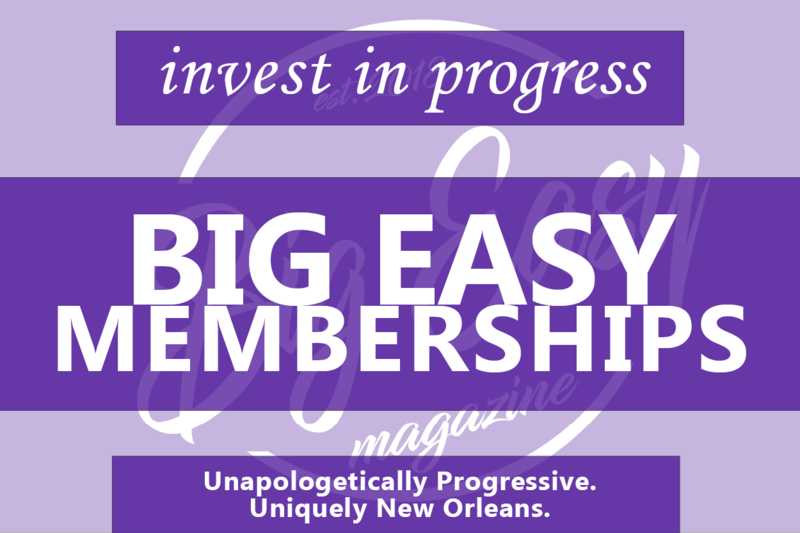 “This is a time for deep potential,” said Antranette Scott, an organizer with the People’s Assembly of New Orleans, a group that agitates for social justice and economic equity within New Orleans, and Take ‘Em Down Nola, which fights for the removal of white supremacy symbols within New Orleans. “Things could be different,” continued Scott. After the meal, the attendees broke up into groups to talk about organizing strategies. Though the focus of these discussions was broad, the goals were tangible—working towards a living wage, better infrastructure, and accessible transportation, guaranteed time off, pensions, and dependable schedules for hospitality workers. Both Ashlee Pintos and Gavrielle Gemma, who also organizes with the People’s Assembly, spoke about the importance of talking with people face-to-face and meeting people where they are rather than over social media. “300 people in the street is worth 3000 signatures on online petitions,” says Gemma. While organizing around issues of transportation, Pintos would walk the bus routes in New Orleans East around Midnight, when hospitality workers were returning home. She said that the NOHWA was able to effectively organize that way, speaking to people who had to finish their commute by trekking home through the East late at night. The Women’s Dinner series is another way to engage with people and meet them where they are. “We need creative ways to build people up, and invite people,” says Pintos.